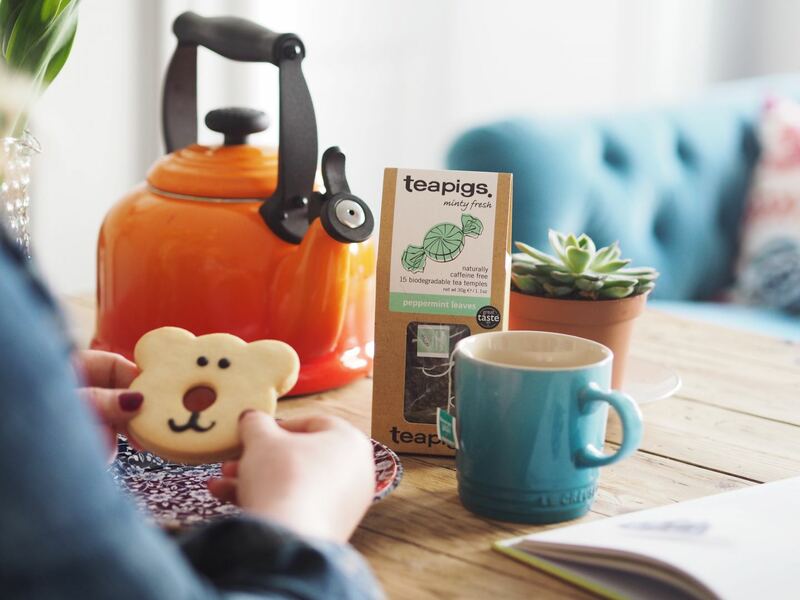 Upgrade Your Everyday & Enjoy The Simple Pleasures With Teapigs (AD) - Fashion For Lunch. I first discovered teapigs about 6 years ago. It was my boyfriend who introduced them to me, he was caffeine-free at the time and he figured since he wasn’t spending £3.50 on a single coffee, he could easily justify the same money on a box of teapigs. He loved the chamomile tea; those big beautiful dried flower buds in the tea temples and he quickly introduced me to the Peppermint tea, which quite frankly, was a revelation! Before I knew it, I was buying us a bundle of teapigs as my payday treat each month; Super Fruit and Chamomile for him, Peppermint and Peppermint & Green Tea for me. A little while later they introduced Matcha into their range and my mind was blown all over again! So often we dwell on the big things in life; the cars, holidays and homes, but quite often, it’s the little everyday items and rituals which we really need to focus on; The morning routines, the food we eat, the pyjamas we wear and all those little things which make up our daily life. For me, the simple act of making a cup of tea is integral to my day. It’s how I start and end the day and punctuate it along the way. Teapigs is the ONLY tea we have in our house these days and it brings us so much joy, it’s also the only tea we serve in our Airbnb holiday apartment. Let me explain why! 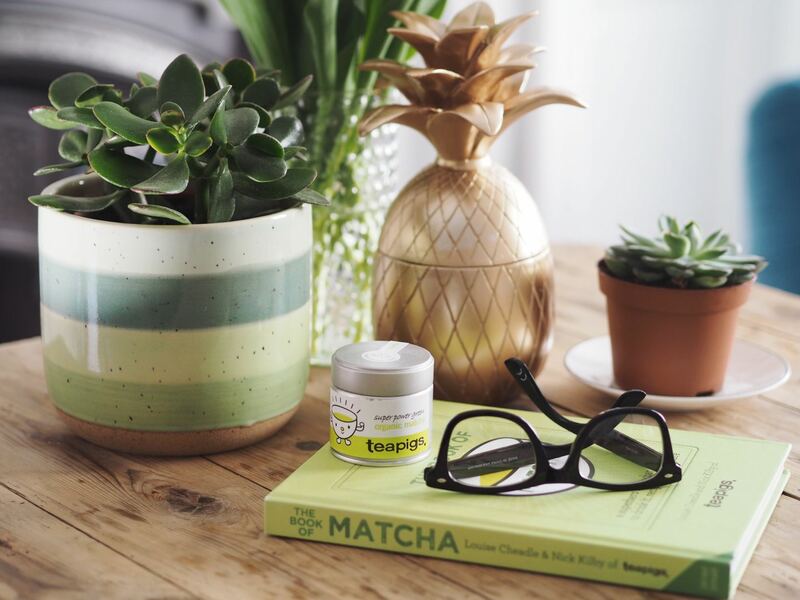 The great thing about teapigs is that it’s real tea, when tea is being harvested, this is the cream of the crop… The best bits… The creme de la creme! It’s exactly the same quality of tea as you would get with loose leaf varieties, only without the effort. It tastes SO much better than regular tea; Fresher, richer and never bitter, it’s a real treat! Plus you know all those health benefits you get with herbal tea? 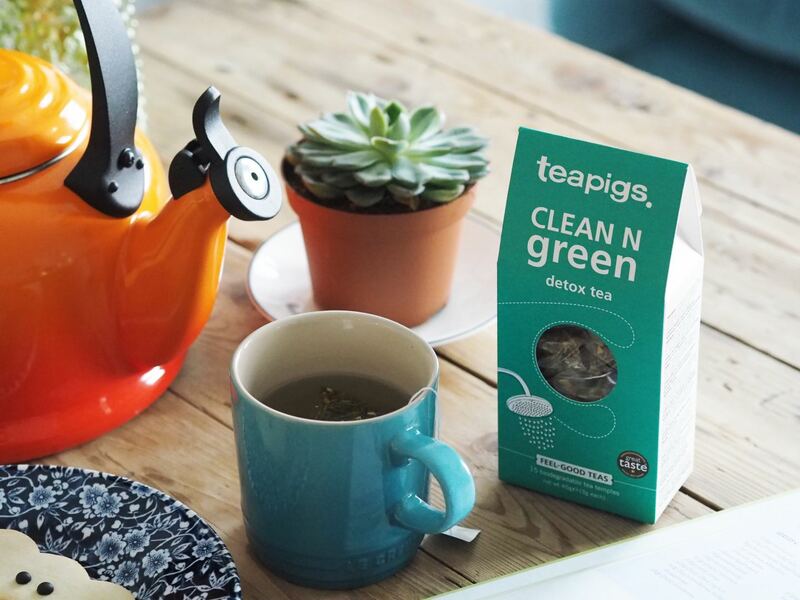 Well, because teapigs is a higher quality and more potent than regular tea, it’s even better for you. For instance, the Snooze Tea really does make me sleepy and have a great nights sleep, the Clean ‘n’ Green really does aid digestion. As for the matcha, that gives me so much more energy and motivation, I think of it as a green dream! Recently I have been on a mission to upgrade my every day and I have been trying to encourage my readers to do the same. It’s so important to make those tiny tweaks to your life which make things better. That dusty old lampshade in your living room? Take it down and buy a new one! That chipped dinner plate? Throw it out and buy a new set which you love! As for that slightly yellowed and musty smelling towel and bathrobe, it’s definitely time to invest in a new one! I’ve personally been clearing out my wardrobe for any shoes which pinch, clothes that no longer fit and handbags I no longer love. It’s so rewarding having so much more space and visually, less clutter in my walk-in makes life feel so much easier! It’s so nice having brand new pillows, clean sheets, fresh pyjamas, non-stain mugs, cutlery that matches. Look around and think to yourself ‘What gives me joy and what brings me down’ and replace anything you can afford and prioritise the items you use the most. Whether you work from home or work from an office, it’s essential to take breaks so make them count! I used to be the WORST for eating my lunch at my desk, or skipping breaks because I was ‘too busy’, but let me tell you, you need those breaks and even if you need to delay the break by an hour because you are prepping for a meeting or hitting a deadline, you still need to take that break. It’s important to remember your body needs a rest and so does your mind, they are essential. It’s time to ditch that chunky mug with a chip in and buy yourself a bone china mug you love drinking out of, keep it on your desk so it’s yours and only yours. Similarly, switch the chocolate bar, biscuits and crisps for your favourite nuts, yogurts and dried fruit. Stop scrolling through Instagram and instead flick through a book or favourite magazine (I love lula), listen to a bitesize podcast or a chapter of an audiobook or message a friend and arrange a dinner date for that night / later in the week. 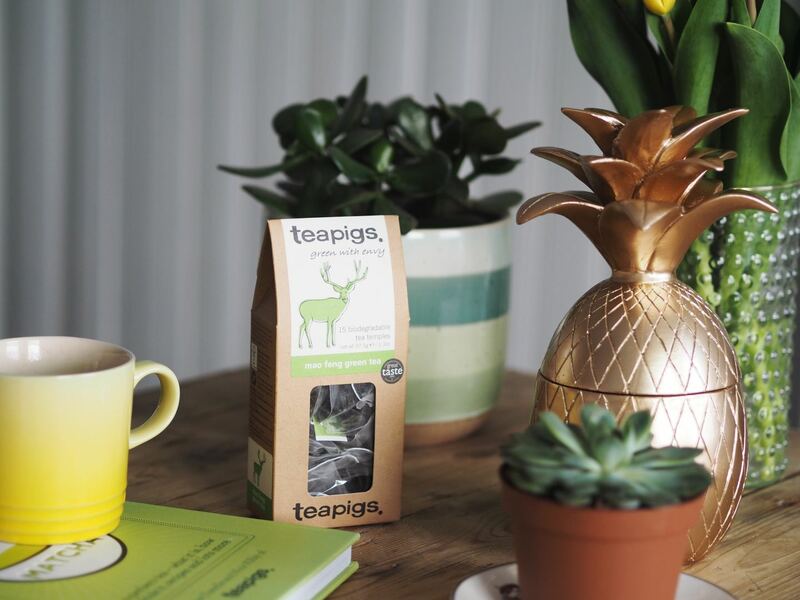 And of course, trade your supermarket own-brand tea for teapigs finest blends instead, when you drink it out of your fancy new mug, you’re gonna feel pretty darn good! Finally, the evening, for most the longest part of ‘free’ time in your day. Most days, you probably just want to come home and crash on the couch and I’m not discouraging that, not even a tiny bit! On the contrary, if you want to lounge on the sofa all night long, do it, but make sure you do it right! There’s no point lying on the sofa wearing your work clothes and watching half an episode of Hollyoaks, before spending half an hour thinking about what to make for dinner before you end up having a lazy bowl of cereal. Instead, every week do your grocery shopping and have at least five easy evening meals ready to go in the fridge so you can crack on with making dinner each night without any fuss. I’m also a huge fan of dressing for the occasion, so make sure you remove your make-up when you get in and put on your softest cosiest pyjamas, yoga pants or onesie. Personally, I’m a big fan of avoiding soaps, new channels and instead opting for ad-free options like Netflix or DVD boxsets. Channel hopping is never relaxing and how can you immerse yourself in a show when it keeps flashing up with laundry adverts?! 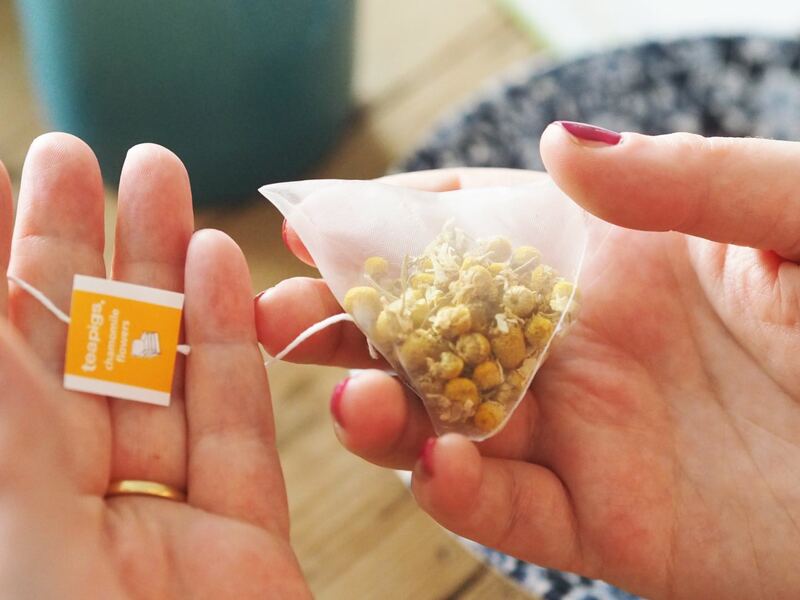 Finally, once you are cosy, comfortable and filled with a healthy and delicious dinner, make sure you end your evening with a cup of relaxing teapigs Chamomile or Snooze Tea. Serve in a pot so you can keep topping up your mug and enjoy over the course of an hour or two before bed. As you guys might have guessed, I’m a huge, huge, HUGE fan of teapigs, I honestly love their tea so much and I’m the biggest fan of what they do. However, if it wasn’t for the fact my boyfriend had introduced me to them all those years ago, it would be possible I would still be drinking supermarket own blends, which honestly makes me feel kind of sad as I get so much enjoyment teapigs! 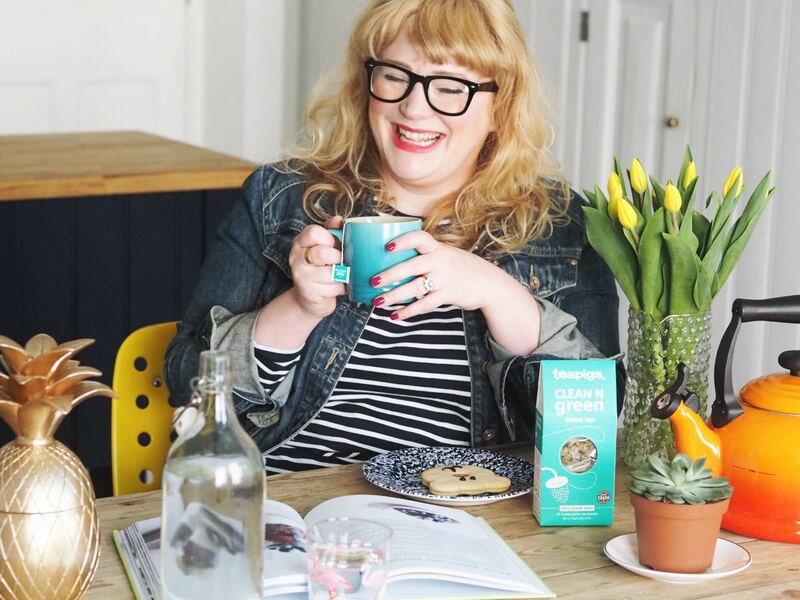 Over the next few months I’m going to be hosting some Twitter giveaways to win a stash of teapigs tea for you to enjoy with your friends, family, flatmates and work colleagues to enjoy together. 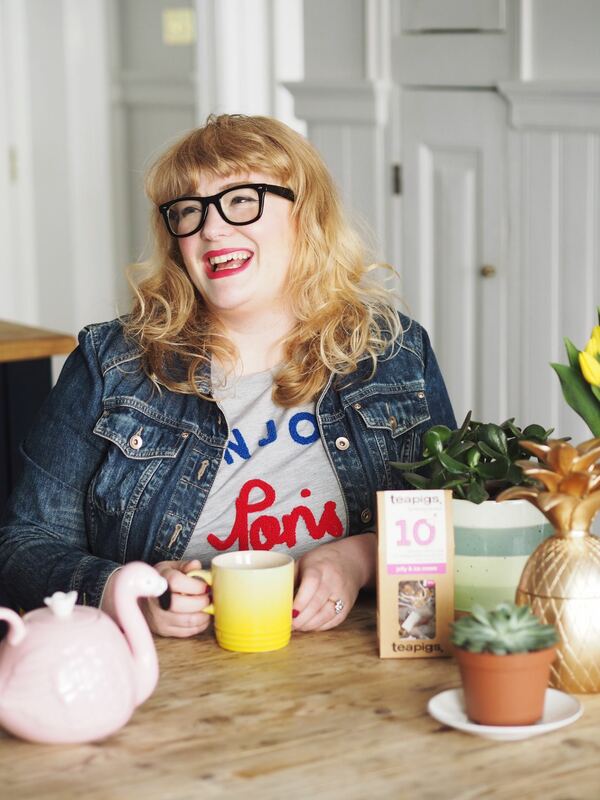 Drinking tea is a great British pastime after all and I would love to help introduce a few more of my readers to their amazing products! So keep an eye on my twitter (and maybe my instagram too!) and hopefully you might get lucky! This post has been written in collaboration with teapigs. As always, all opinions are my own. Ah lovely post and great tips. I’ve loved Teapigs for years too. Must try that Snooze tea. I love their jelly and ice cream version – I hunted for it everywhere! it’s discontinued now but it’s OH SO GOOD!!! !